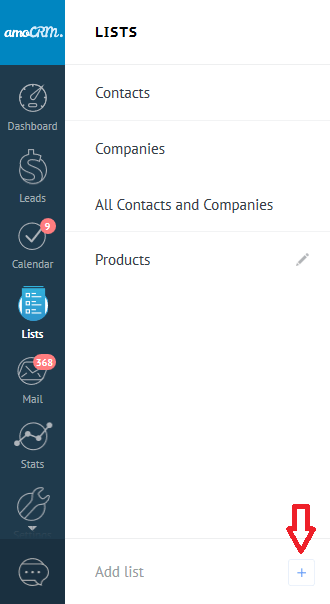 Lists are a new section containing already familiar lists of contacts and companies, but also allowing you to create lists and directories that you can use in leads and customers. The function is available starting from the extended tariff. Lists are a data store, the elements of which you can attach to the card. 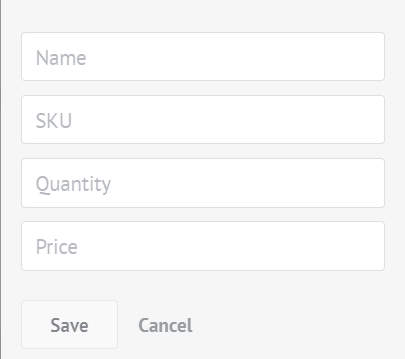 Adding a new list item is available in the upper right corner, it is a window with your fields to fill. Note, you can not change and delete only one system field "Name". To add a list to the Lead or Customer card, open the corresponding card and go to its settings. 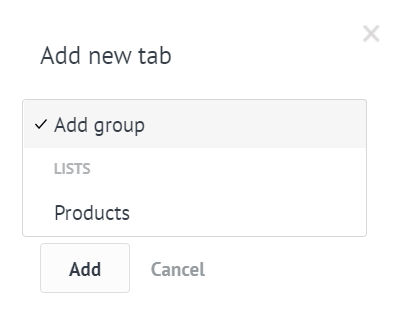 In the menu that appears, you can select any lists you previously created. Display the list in the card. When creating a new list through the API, you can specify a number of properties for the new list. type is the type of the list. Currently there are 2 kinds of lists: "regular" - the standard list, "invoices" - the list of accounts. There can only be one list of accounts in your account. Together with the list, a set of custom fields is automatically created, which is necessary when working with this type of list. can_show_in_cards - Ability to add a standard tab with a list to the lead / customer card. If the value of this parameter is false, you can not add a tab with this directory to the leads / customers in the web interface. can_link_multiple - The ability to bind one element of this list to several leads / customers. If the value of this parameter is false, one element of the catalog can be bound to only one lead / customer. is_deletable- The ability to delete a field through the system interface. If this parameter is false, the user can not delete this field. is_visible - Visibility of the field in the web interface. If the value of this parameter is false, the user will not be able to see this field. 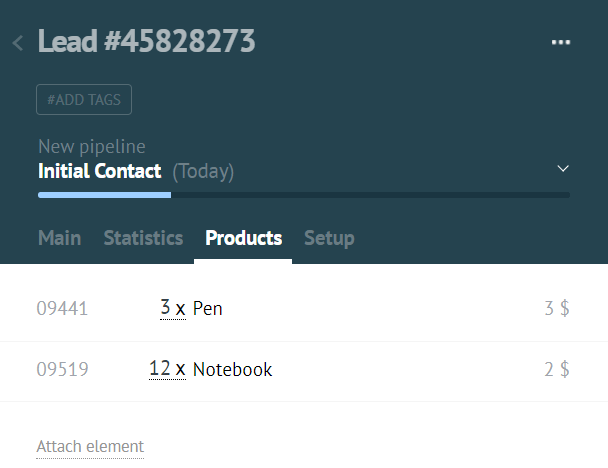 Integration can be replaced by a standard list item editing card on its own. To do this, you need to specify a special "catalogs" connection area, specify which catalog card will replace the integration and implement a special callback loadCatalogElement.